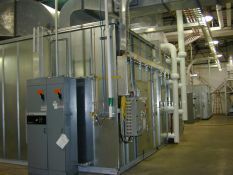 Direct-fired heating systems provide precise ventilation and temperature control for both custom finishing operations as well as dedicated paint or spray booth applications. AbsolutAire spray and bake systems are among the best. In the spray mode, they deliver fresh make-up air for high volume, low temperature ventilation that enhances operator safety and finish quality. 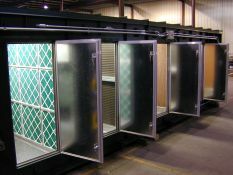 In the bake mode, they deliver heated curing air for high temperature ventilation that speeds finish drying and increases booth productivity. 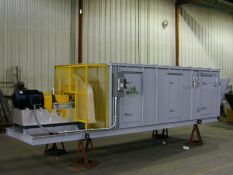 Committed to complete customer satisfaction, AbsolutAire offers a range of system choices, as well as selected options such as cooling and humidity control, for custom matching spray and bake performance with specialized booth operating requirements.